..Some 700 National University of Singapore (NUS) first-year undergraduates received a rude shock on Saturday in the exam hall. They were told on the spot that the paper on managerial economics, which they were about to sit for, was cancelled as not enough question papers were printed. 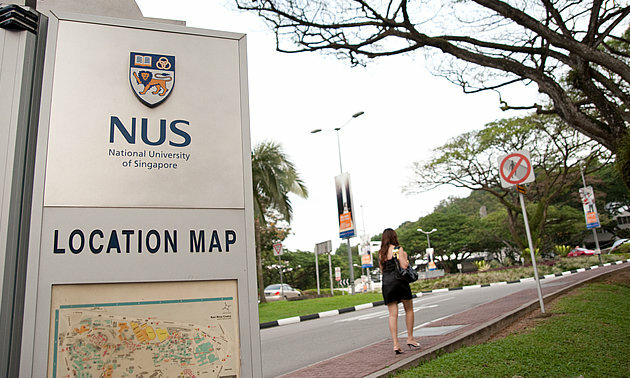 An NUS spokesperson said the mess-up was due to a "human error", reported Today. He added that the university is investigating the matter "to strengthen the processes to prevent this from happening again". If things had gone as planned, there would have been 750 exam scripts printed for a class of 725, who were sitting for the mid-year test for the module "BSP 1005 Managerial Economics". The lecturer-in-charge of the exam, who works in the banking industry, who was taking another class in the morning, only discovered at "about 2pm", the time of the exam, that they were short of 200 scripts, the spokesperson said. "The lecturer-in-charge discussed with fellow colleagues on duty that day on the various available options. There was insufficient time to make additional copies as another test had been schedule in the same hall immediately after the state test. "After considering all options, the lecturer-in-charge made the difficult decision of cancelling the test. The lecturer-in-charge then made the announcement to the students, took responsibility and apologised for the human error made, and followed up with an explanation email to all affected students," the spokesperson explained. The mid-year test carries 30 per cent of the students' grades for the module. They will now be assessed based on other assignments. A copy of the email was obtained by the same paper, in which the course coordinator said, "On behalf of the entire team, I am really sorry for today's fiasco. We fell short in the number of printed papers we had and we could not find a way to make this work." The coordinator added that the situation was "completely unintended", and that the question paper will be made available to students who want to practice the questions and for discussion in tutorial classes. An NUS undergraduate, who only wanted to be known as Tan, said, "I feel very frustrated and annoyed because I studied so hard for it and it got cancelled at the last minute. "I'm also annoyed at how they called us down on a Saturday and did not send (us) the information in a professional manner." ..By Ewen Boey | Yahoo! Newsroom – Tue, Oct 4, 2011..